10 Reasons why New Caledonia is one of the best cruising grounds in the South Pacific And why you'll love it. New Caledonia is 780 nautical miles from Bundaberg Port Marina in Queensland and 860 nautical miles from the Bay of Islands, New Zealand. 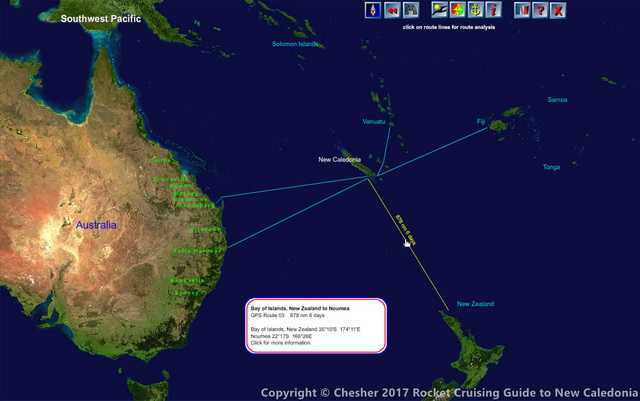 The passage normally takes less than a week to or from Australia and about a week to or from New Zealand. Perfect for the start or end of a Pacific cruising season. 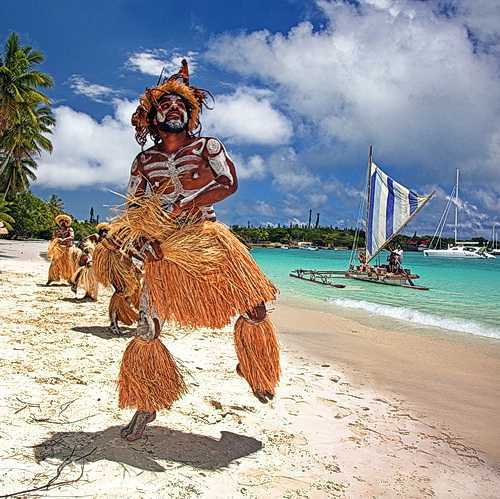 You'll find details on how to make happy passages to New Caledonia in the Cruising Guide. New Caledonia has an impressive system of navigational aids. Reef passes, major routes and all harbours are clearly marked, and lit. The magnificent 56 metre high Amedee Lighthouse built in 1862 symbolizes the long standing French commitment to the maritime community. For more about the Navaids of New Caledonia get your copy of the Rocket Guide's Cruising Guide to New Caledonia. You'll find all the markers and lights displayed the photocharts. The lights flash at the correct frequency and have a circle on the chart showing how far you can see each light and marker. 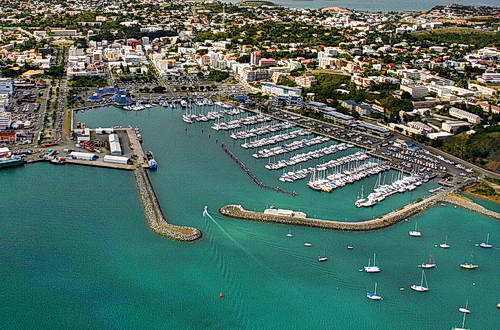 Noumea, the primary port of New Caledonia, can berth yachts of any size. There are three public marinas and one private one. The marinas have water, 220vt AC, wireless Internet, and superior marina infrastructure facilities. 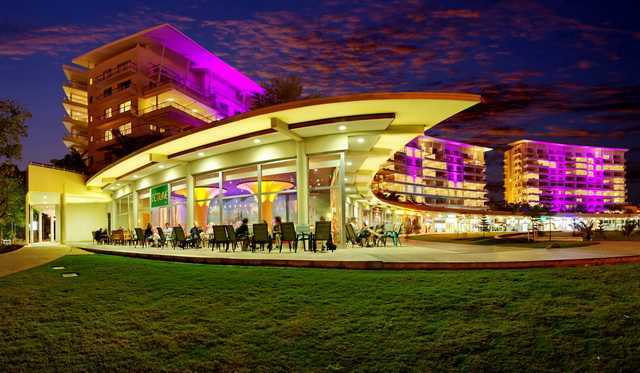 Our guide has complete details on every Marina thoughout New Caledonia. 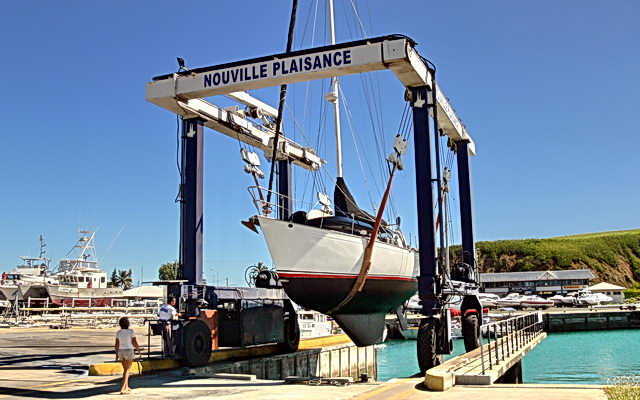 Nouville Plaisance has a 50 ton travel lift and the Noumea Port shipyard can take vessels up to 1000 tons. There are three smaller but excellent slipways in Noumea including one set up to handle catamarans and trimarans that are too wide for the Nouville Plaisance slipway. Noumea has well stocked ship's chandleries, competent tradesmen, machine shops, parts and supplies. High quality fuel is easily available in Noumea. The Cruising Guide has the location and contact information for all these and more. 5. The largest lagoon in the world with lots of excellent anchorages. 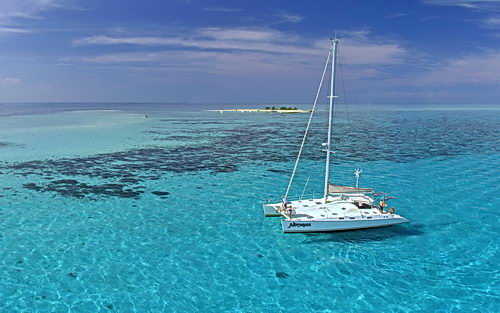 It is a real pleasure to sail New Caledonia's vast lagoon. 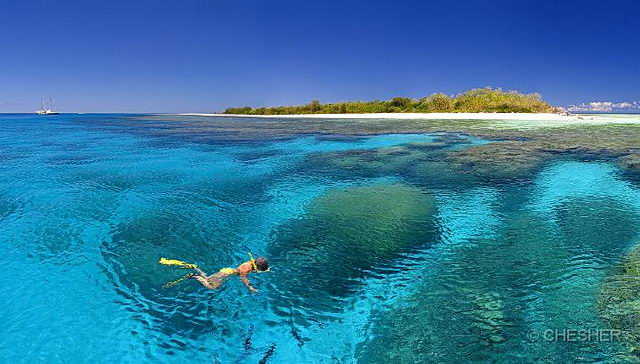 The water is deep, clear and protected by the second longest barrier reef in the world. Over a dozen choice anchorages are within a 2 hour sail of Noumea. You can day-sail around the entire coast of New Caledonia and the outlying islands of Belep, Ouvea, Lifou, Mare and Ile des Pins enjoying over 212 anchorages along the way. We have recently surveyed all anchorages and they are on the latest Cruising Guide to New Caledonia. 6. Stunning scenic beauty protected by over 34 marine and terrestrial reserves. The lush coral reefs, gleaming white sand beaches and exotic island birds and vegetation are protected in a system of marine reserves. Fish in the marine reserves are abundant and tame, offering perfect opportunities for underwater photographers. The entire lagoon is a World Heritage Site. The Cruising Guide to New Caledonia has full details on all the reserves including mooring buoys and important regulations for boats. 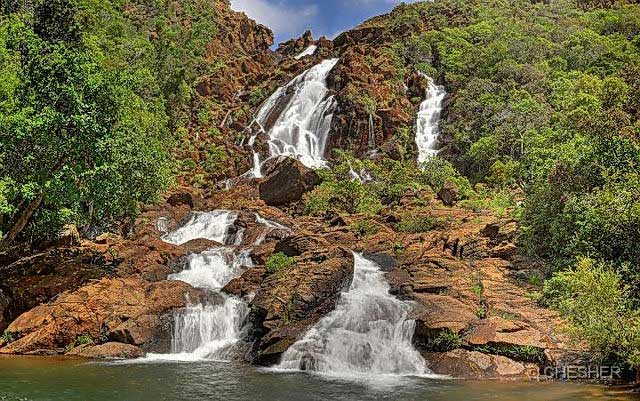 Extending from the tropics at 18 degrees South to the Temperate zone at Latitude 23 degrees south, New Caledonia enjoys one of the nicest climates on our planet. There is normally a brisk trade wind for sailing and, from December to May, the chance of a tropical cyclone. But all in all, New Caledonia's weather is a delight, made even more perfect by the luminous colours of the lagoon and the islands in the sunshine. Melanesians, Europeans, Vietnamese, Indonesians, Polynesians, Micronesians, Chinese, and others offer visitors a wealth of culinary and cultural delights. 9. Supplies, entertainment and fun. 10. Wilderness areas and trekking.